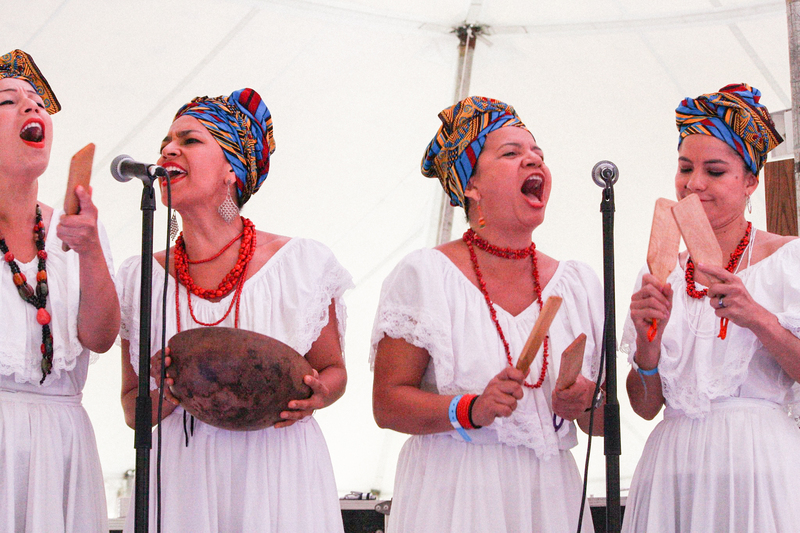 Legacy Women is an all-women’s traditional musical group rooted in Afro-Dominican and Afro-Puerto Rican traditions. Description: The photo shows eight people on stage performing in front of a colorful backdrop. Six are in the back playing different instruments in front of microphones. In front of them are two people dancing with their arms elevated. 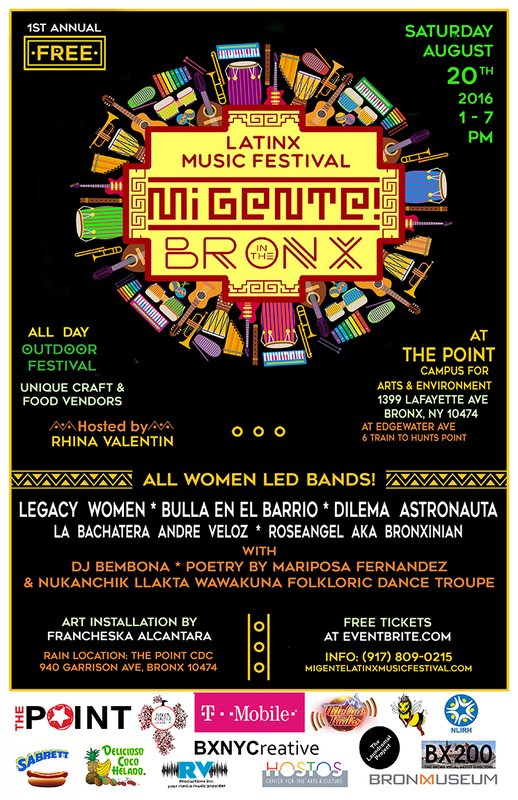 Most music festivals don’t typically happen in the Bronx, and recent efforts to bring art to the borough have been met with backlash for not centering local creativity and for further displacing folks in the community. The Bronx is usually remembered as the poorest county in the state, the borough struggling with high rates of diabetes, asthma, and maternal mortality. Yet while the borough fights the impacts of systemic inequality, this festival highlights the importance of investing in our communities and of centering the narratives of those often ignored. The festival will celebrate and honor music that has transcended borders and time to reflect the lived experiences of migrants living in the United States. It will center music of Indigenous and African roots — a particularly important move since anti-blackness and anti-indigenous sentiment permeate so many of our communities. By using the term ‘Latinx’, the festival acknowledges the contributions of queer, trans, and gender nonconforming people in the creation of our musical heritage. 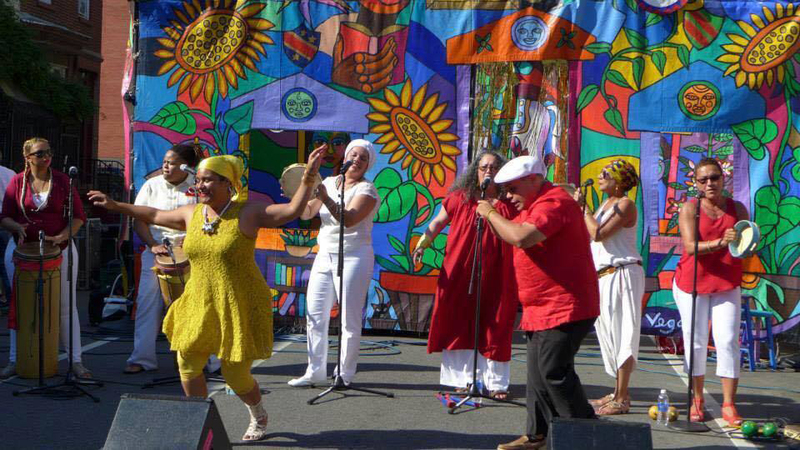 Bulla en el Barrio will bring Bullerengue, Afro-Indigenous Colombian music, to the Bronx. Description: The photo shows four women on stage singing into microphones. Each one is wearing a long dress and necklaces. The singers are all wearing head wraps and each one is playing an instrument. Photo credit: Camila Osorio. Music helps us tell stories of sexuality, love, pain, and migration. It helps us mourn, capture history, and document our lived experiences and struggles. Holding on to our music can be a form of resistance, allowing us to remain connected to our cultures. While assimilation can erase many aspects of our identity, further marginalizing us, music festivals like this one can serve as tools to elevate local artists and remind us that our communities are rich in creativity and connection. If you live in New York and are able to make it, come out to the festival today starting at noon at The Point CDC located at 1399 Lafayette Ave, Bronx, NY 10474. Header image via Mi Gente. 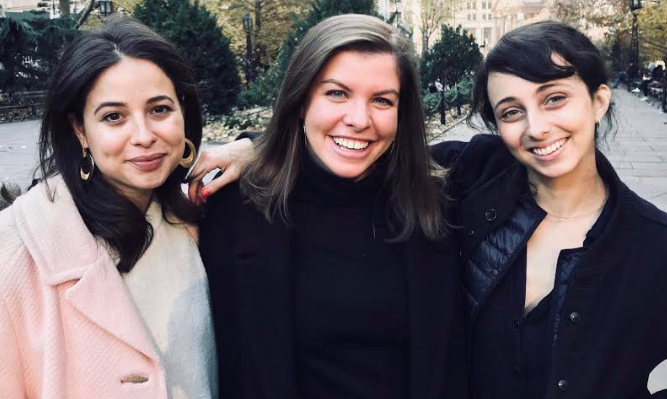 The Broad Room is an all-women political collective in New York City that’s taking down the right-wing agenda and educating the city’s young feminists one newsletter and activist training at a time.